It all started from this photo. I had read the definition of the word biophilia before but only after seeing this cover of the Finnish design company’s site “Aapiste” by Riikka Kaartilanmäki I knew what it really meant. That is why I was so happy when an opportunity to visit Kaartilanmäki in Sulkava opened up to me during my and Asaka’s Saimaa tour. I was able to finally see and touch Riikka’s products for real. 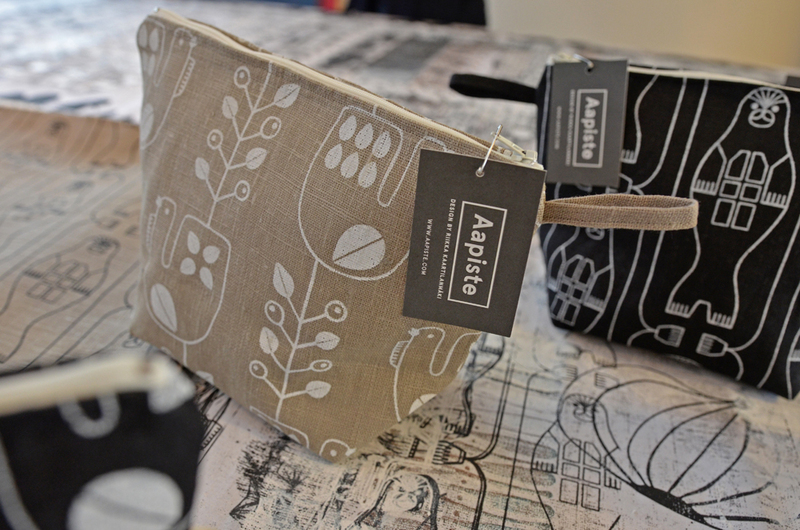 Aapiste’s textile products are handprinted by traditional silk screen technique with non-toxic water based printing inks. 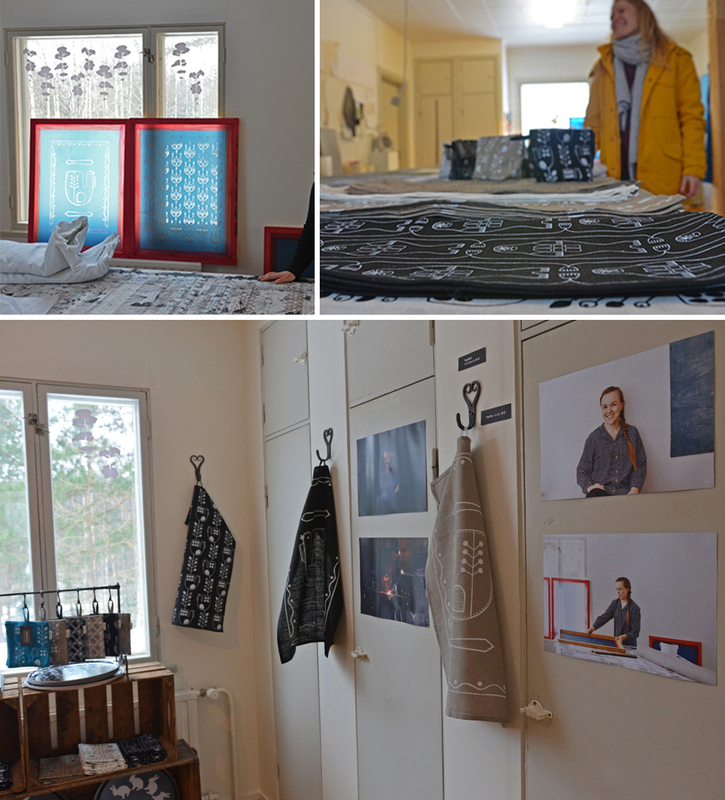 It was so exciting to see and hear more how printing the fabrics like this actually happens! You can watch this 360° video on mobile by opening this link https://youtu.be/_osL_MkdMOM in your Youtube App. For the best experience, use the virtual reality headset! 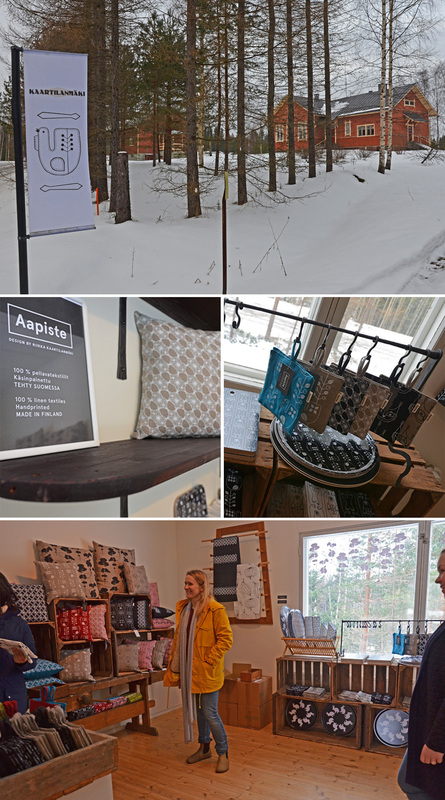 Besides visiting and doing some shopping in Aapiste‘s small factory shop, in Kaartilanmäki it is also possible to see the designer herself. That is great, but what I think is even better is that in the future you can order Aapiste products online via company’s own web shop. I will let you know as soon as it’s possible! Why should we have these kinds of nature-inspired products in our everyday life? Well, let’s go back to biophilia and its connection to our wellbeing. Biophilia hypothesis was introduced by Edward O. Wilson in 1984. 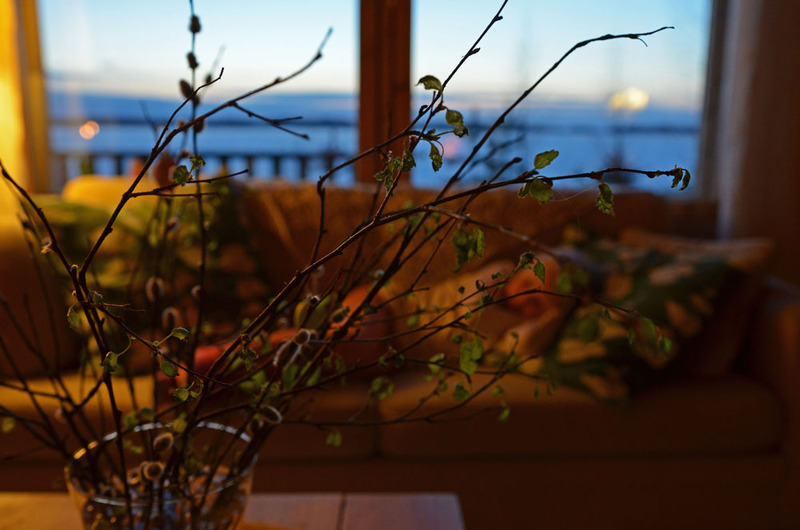 Biophilia hypothesis suggests that humans possess an innate tendency to seek connections with nature and other forms of life. The word “biophilia was first used by Erich Fromm. He described a psychological orientation whereby all people are naturally attracted to everything that is alive and vital. So according to biophilia, it is rooted in our biology that we subconsciously seek connections with nature and all living systems in it. And if we lose this connection -or it weakens too much-, it affects negatively to our health and wellbeing. It is studied that no matter what form nature takes in our life, it helps us to feel better. That is why it is worthwhile to seek this connection in every way. 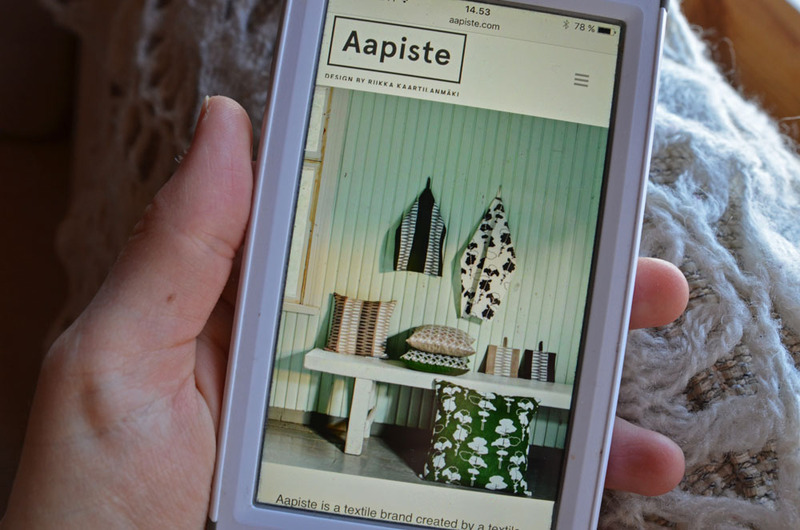 When I saw the pine (“Petäjä”) patterns in the cover of Aapiste website, I felt the connection to the forest and it somehow calmed me down. It only got stronger when I held the wooden Blueberry Rooster (“Mustikkakukko”) tray in my hands after receiving Riikka’s mail package. Thank you so much Riikka for giving us these amazing gifts! Well, someone might think, that because I love nature anyway, of course, my reaction is positive. But nature’s effect, in fact, is positive in you even if you would not like nature at all! That’s what I learned last autumn when I did the online course about emotional processing with the help of nature with Finnish ecopsychologist Kirsi Salonen. So, nature can be really powerful. 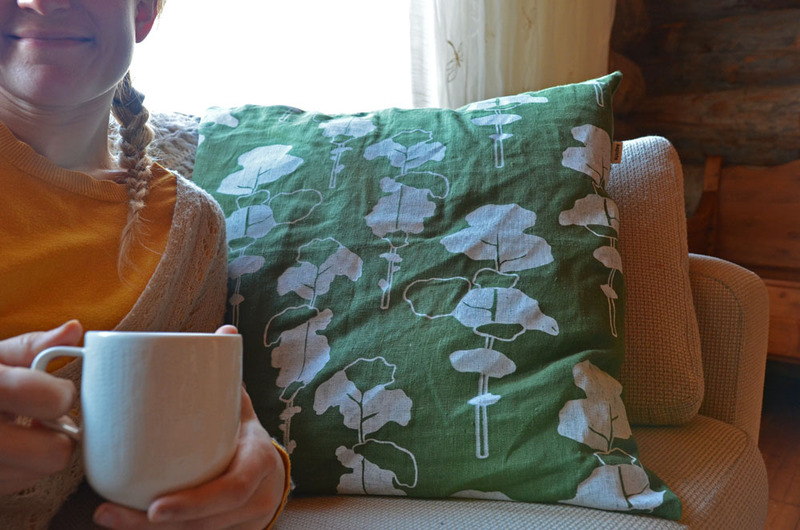 A couple of years ago I wrote how more natural elements at home mean less stress. After looking at and using Aapiste products for a couple of days I had to say it really is so. Happily, I also noticed that I wasn’t the only one in our family that felt the same! So, visiting Finland for real is not the only way to experience the wellbeing effects of Finnish nature. You can also have the mail to carry that to your door! I can warmly recommend Aapiste linen textiles and other products already now. In the future, I will introduce some new brands to you. 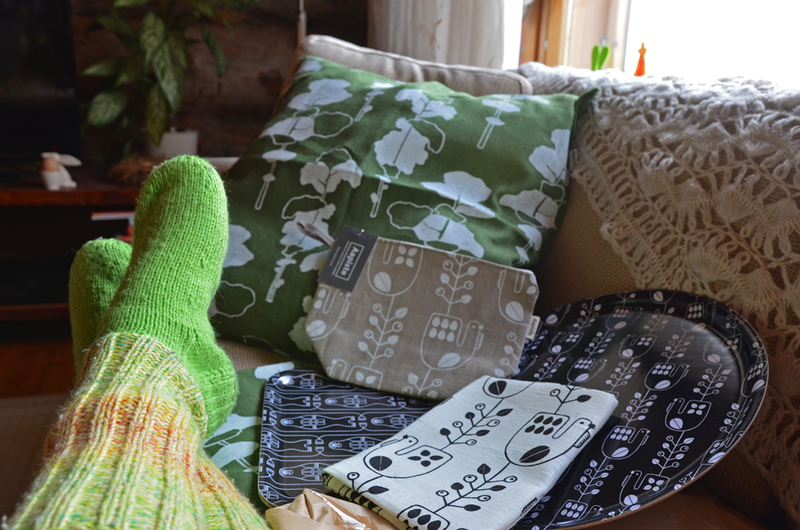 Brands that all are inspired by the life here in the middle of blue lakes and green forests! Read more about unique Saimaa souvenirs and shopping in Finland here. 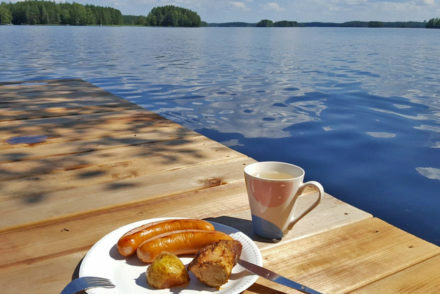 Inspired by Saimaa (Part 5): How to Experience Local Life in Finnish Lakeland? 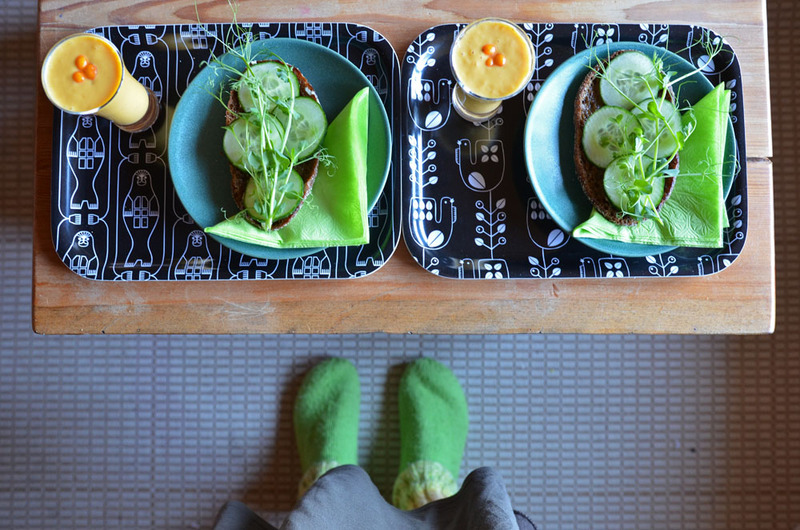 Inspired by Saimaa (Part 1): Cheers to Finnish Lake Nature! Any thoughts or questions about this story? We would love to hear from you! Send your message to [email protected] or contact us here. 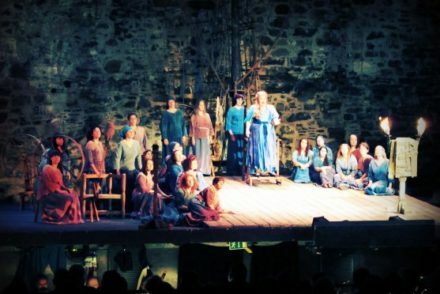 Did you like this story? 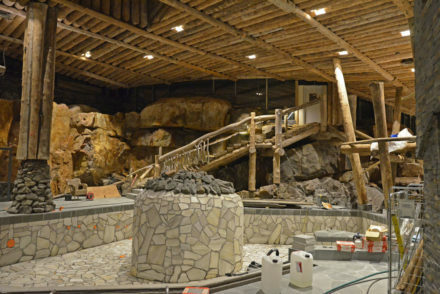 Sign up to get SaimaaLife updates via email.